The ghost of the "JPS". While polarising because of its design, the Heritage Black Bay Chrono proved to be a critical (if not a commercial) hit when it made its debut two years ago. 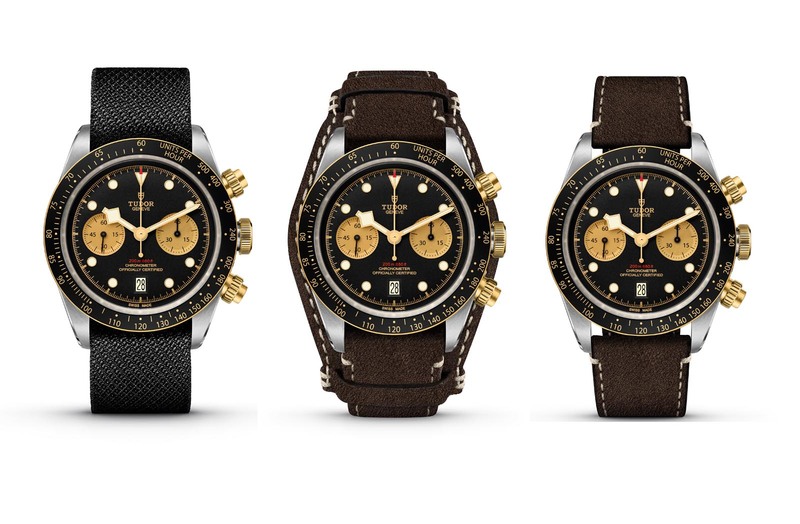 Now Tudor has just unveiled the two-tone, slightly retro version of the Black Bay Chrono that is not merely a change of materials, but also has a redesigned, slimmer case. The Black Bay Chrono S&G – short for “steel and gold” – has the same 41mm diameter, but the crystal has been domed slightly to allow the dial to sit higher and closer. That allows the case to be a tad slimmer than the original. The bezel and chronograph pushers are in solid 18k yellow gold, as are the first center links of the bracelet. All the other gold parts are gold capped, which is essentially a layer of gold mechanically pressed around a steel core, rather than the more common electroplating that results in a thinner and less durable gold finish. 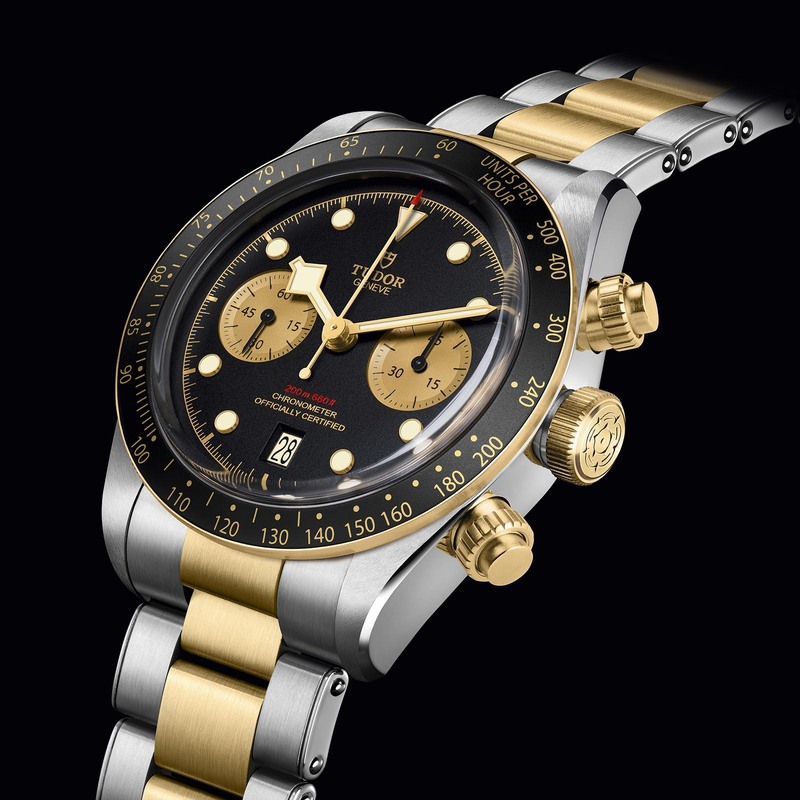 The gold bezel has a black anodised aluminium insert with matching gold markings, but perhaps what makes for an entirely different look overall are the gold-toned counters – matched with gilt hands, hour markers and lettering – which brings to mind the vintage Rolex Daytona “John Player Special”. Better known as the “JPS”, the black and gold Daytona dial got its nickname from the black and gold livery of Team Lotus Formula 1 of the 1980s that were sponsored by cigarette brand John Player Special. Powering the watch is the same self-winding MT5813 movement that was developed by Breitling and modified for Tudor. 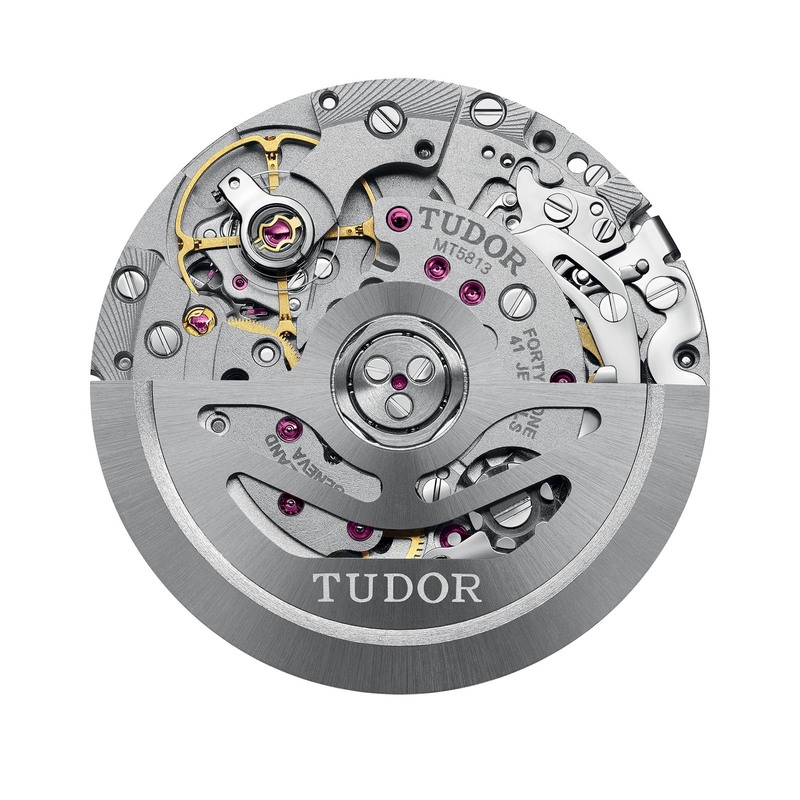 It is essentially the B01 column-wheel chronograph movement, but equipped with Tudor’s free-sprung, adjustable mass balance wheel and silicon hairspring. It’s COSC-certified, and offers a three-day power reserve. While the two-tone bracelet completes the classic look, it is also available on a leather strap with a removable “Bund” pad, which plays to the racing theme, as well as a fabric strap. 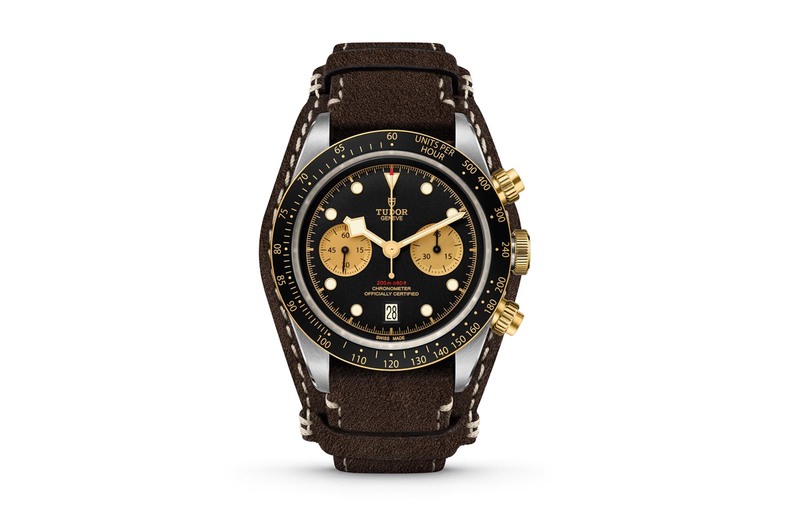 The Tudor Black Bay Chronograph S&G (ref. 79363N) is priced at 6,500 Swiss francs on bracelet, 5,350 Swiss francs on a bund leather strap and 5,350 Swiss francs on fabric strap. It will be available from June 2019. Inspired by a historical prototype.